This hotel is housed within a building that dates back to the 19th century and still retains many original features including a grand staircase & a domed ceiling in the Champagne Bar. This historic hotel has hosted stars including Frank Sinatra and Charlie Chaplin, and even features in the James Bond book, Licence Renewed. 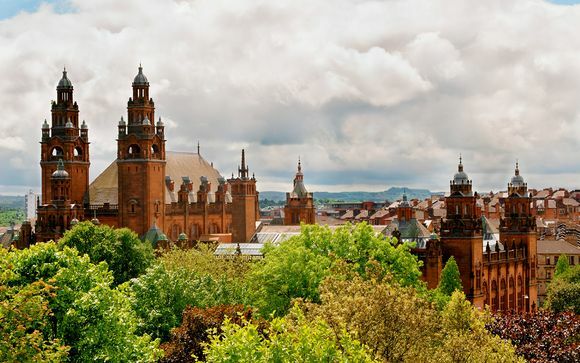 In the heart of Glasgow stands an award-winning city icon, The Grand Central Hotel, Glasgow. 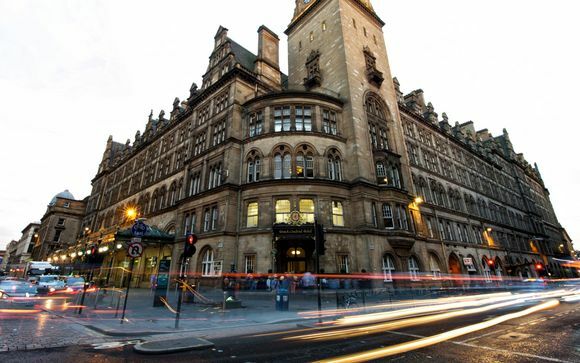 An imposing landmark adjacent to Glasgow Central Station, the hotel is in the hub of the Style Mile and at the centre of attractions and entertainment. An evocative combination of Queen Anne grandeur & modern style, these rooms are a call back to the heyday of travel. - Guest Room (25m² / max. 2 persons): Charming and cosy, these rooms are thoughtfully furnished to create a relaxing environment. - Superior Room (20m² / max. 2 persons): Beautifully decorated, these Superior Rooms feature marble and granite finishes and modern amenities like free WiFi for a relaxing retreat in the heart of Glasgow. - Deluxe Room (35-40m² / max. 2 persons): Elegant and stylish, the Deluxe Room is the pinnacle of modern hospitality, providing exceptional comfort with more space, bathrobes and slippers. - Suite (25-62m² / max. 2 persons): A pretty retreat in the heart of Glasgow, these suites features a spacious sitting room, luxurious toiletries, and access to the business lounge. Upon arrival, enjoy a bottle of prosecco and fresh fruit. 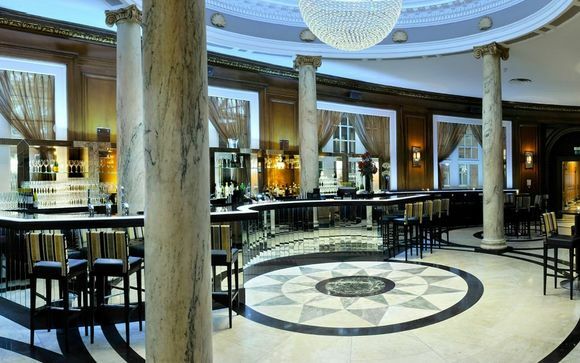 Retreat to the elegant, high-ceilled restaurant within The Grand Central Hotel, Glasgow, to find a taste of Scotland. From cocktails and dinner to afternoon tea or an express deli lunch, you’ll satisfy your cravings with fresh, locally inspired menus carefully crafted by expert chefs. This sophisticated bar takes the building's regal features: carved pillars that stretch up to a domed ceiling and a marble floor that reflects the light that floods in from large windows and turns it into a relaxing spot where you can peruse an extensive list of Champagnes. Your hotel is approximately 1min / 50m from Glasgow Central Station.